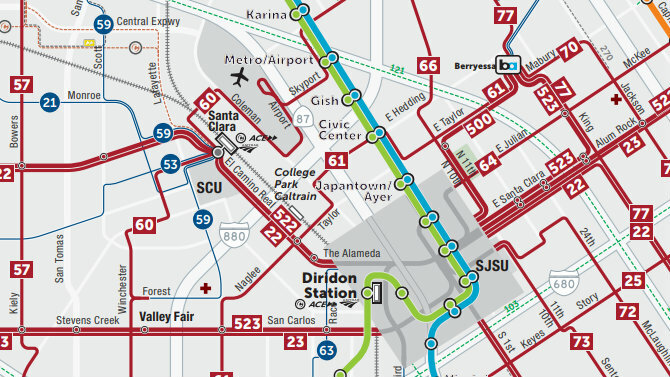 VTA will be holding an online virtual meeting to educate the public, answer questions and get feedback on the Draft 2019 New Transit Service Plan. Join us online on Tuesday, February 12 at 1 p.m. VTA planners will provide an overview of the draft plan that includes proposed service reductions as well as increased frequency across bus and light rail service. Attendees will also get a chance to ask questions and give feedback. Register here to attend the February 12 virtual meeting. A replay will also be made available. Once you register, you can easily tune in on a smartphone if you’re on transit or away from a computer. Download the YouTube app, click the link we’ll send once you’re registered, and plug in some earbuds for the best experience. Your input—specifically how the proposed 2019 New Transit Service Plan might affect your travel options—is important to us and helps us understand the impact. For more information including locations of in-person community meetings or to give feedback, please visit the Draft 2019 New Transit Service Plan website. If you’re on transit or away from a computer, you can easily tune in on a smartphone. Download the YouTube app and plug in some earbuds for the best experience.